When Edie is caught in a compromising position at her colleagues’ wedding, all the blame falls on her – turns out that personal popularity in the office is not that different from your schooldays. Shamed online and ostracised by everyone she knows, her boss suggests an extended sabbatical – ghostwriting an autobiography for hot new acting talent, Elliot Owen. Easy, right? Wrong. Banished back to her home town of Nottingham, Edie is not only dealing with a man who probably hasn’t heard the word ‘no’ in a decade, but also suffering an excruciating regression to her teenage years as she moves back in with her widowed father and judgey, layabout sister. When the world is asking who you are, it’s hard not to question yourself. 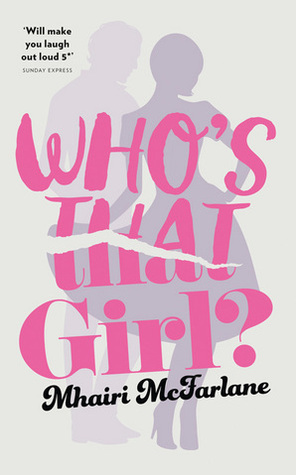 Who’s that girl? Edie is ready to find out. How can her books be so good? I just want to live in them forever and ever. While the plots have differed, they’ve all managed to draw out that elusive, yet familiar, ‘magical romance’ feeling in me. Sometimes I just feel like I must have become jaded, like the book couplings I’m reading are bland stick figures being pushed together for the sake of it, yet then Mhairi brings out a new book and I’m back. I actually want to stop everything and READ. Edie’s adventure just kept going and going and going. With so much emotion packed into this book, I couldn’t help but struggle through the pain she felt and cheer for her too. Despite being an Australian, I still found myself on the outside in terms of the vocab used as Edie threw about the occasional British phrase that I’d never heard of. Most of the time it was easy enough to glean her meaning from the situation, but it did heighten the fact that British English and Aussie English are not one in the same. Still, I wouldn’t have done without it. Those moments just added to my overall enjoyment of the book, causing me to smirk whenever she mentioned something like ‘ringing off’ or going ‘out on the tiles’. There were many more, but being too absorbed in what was going down, I didn’t have a notepad handy to jot them all down. Going into this story blind, I had no idea what it was about, and I pretty much liked it that way. It wasn’t intentional though—thinking I’d ordered a paperback to match the rest of her books, I was (sadly?) surprised to find a massive hardcover copy turn up when it arrived in the mail. Still, it was a Mhairi book and it was there in front of me, so I just took the dust jacket off and got into it. It turned out to be the right choice. I adored these characters. Edie and her turmoil-filled life quickly got me on side. The ten-year age gap between me and the main character felt like nothing—perhaps because I’m on the younger end of it. Even so, Edie felt like exactly the kind of person I could get along with. It’s become harder and harder to connect with YA characters unless it’s a really good book. Again, is that jaded and cynical me taking over? High school may have only been ten years ago, but it feels like a distant past. More books about romance, friends, family and working life—bring it on. Despite having spoken nothing of this story and plenty of my love of Mhairi’s writing skills, I hope to have imbued the (no longer hidden) message that this book is fantastic. It’s full of family bickering over things like class and food choices, rekindled friendships, workplace social media disasters and celebrity crushing (of the romantic kind, no celebrities were physically harmed here). It may be monstrously thick, and if you pick up the (easily dirtied) white hardcover like me, work colleagues will think you’re reading a bible until they strain to read the title printed in silver up the spine—did I have a point? Ah, yes—the length of this book is what makes it so awesome. While only a third in, I felt like I’d read a book’s worth of plot, yet it manages to just keep throwing more things at you until you just never want it to end. Five hundred pages were not enough! 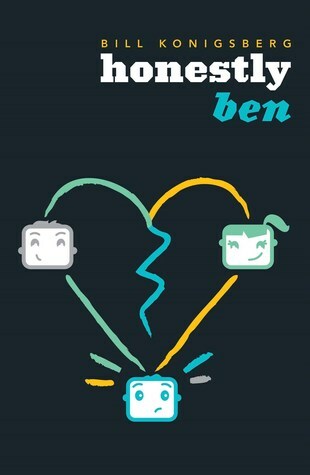 YA or contemporary fans wanting a bit of pre-midlife romance to dive into.